My father-in-law recently celebrated his 70th birthday, and I felt the special milestone required a special card. I created a die-cut design in the Silhouette design program, then cut it out on my Portrait. With all the cards I’ve made, I’ve never created one where patterned paper can be seen from the inside of the card. I wanted to use a patterned paper against a solid color, and initially tried using a different patterned paper on the outside with a solid color on the inside, but the die-cut message was illegible. 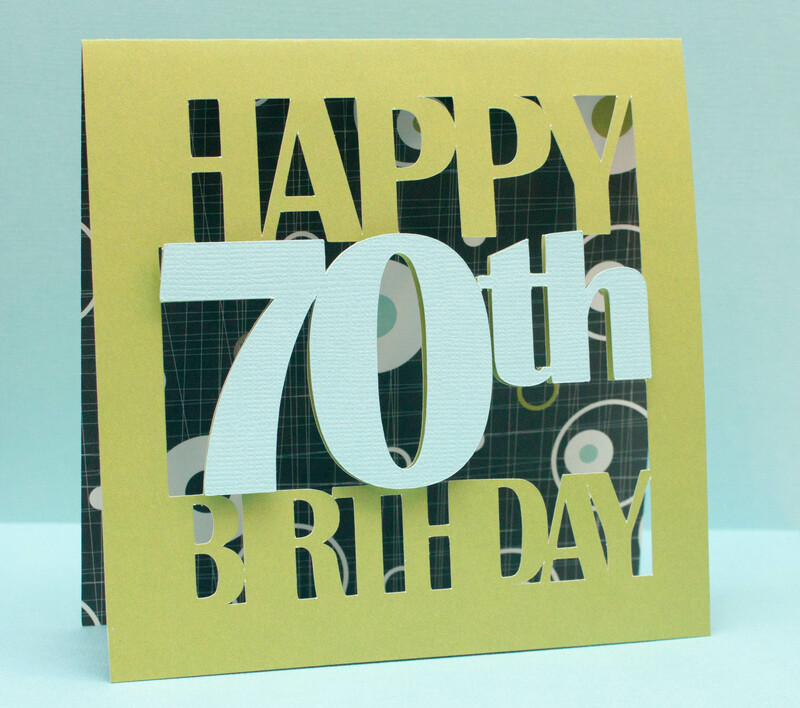 To give the design more dimension, I adhered a standalone die-cut of the “70th” with foam squares. If you’d like to use my designs to create this card, visit my “downloads” page here. This entry was posted in Birthdays and tagged design, Silhouette. Bookmark the permalink. That’s really fun! Love it!! Happy birthday to your FIL! LOVE this design – so cool!! What a nice thing to do in sharing with everyone ❤ Thank you!